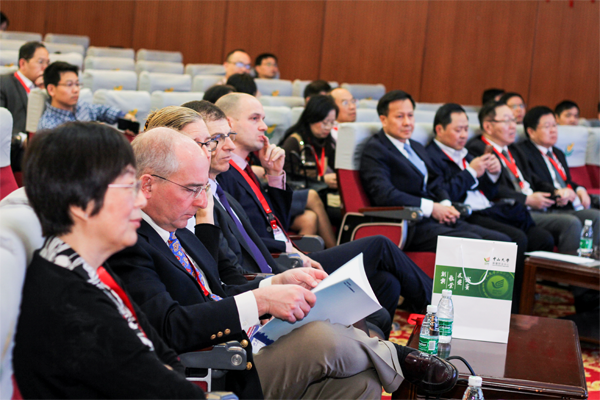 On January 20 to January 21, the first International Symposium on Head and Neck Cancer was successfully held at Sun Yat-sen University Cancer Center (SYSUCC). The meeting was supported by the "111" innovation discipline program under the guidance of the Ministry of Education of China. It was chaired by Academician Zeng Yi Xin, who is also the vice chairman of the State Health Planning Commission and director of the Guangdong Anti-Cancer Association as well as Professor and President of SYSUCC Xu Ruihua. 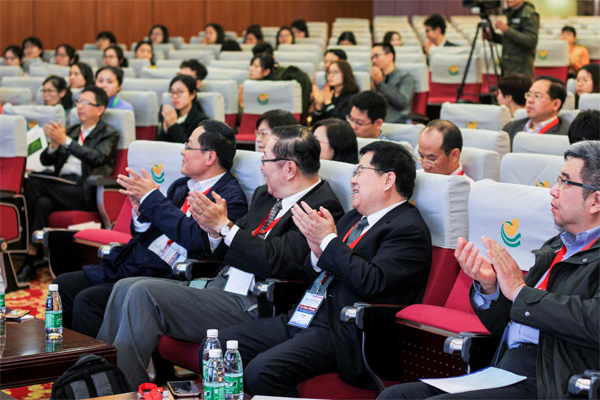 The event was sponsored by Professor Ma Jun of SYSUCC, Professor Anthony TC Chan of the Chinese University of Hong Kong and director of the Hong Kong Cancer Institute, Professor Wang Lvhua, vice president of the Tumor Hospital of Chinese Academy of Medical Sciences, and Professor Lang Jinyi, chief of Sichuan Tumor Hospital were all part of the expert team of scholars from home and abroad. Experts traveled from the United States, Australia, France, Singapore, Hong Kong, China and Taiwan. Guests included Professor Danny Rischin, associate editor of JCO, and former director of the National Cancer Institute Head and Neck Cancer Steering Committee Chair Professor David J. Adelstein, Professor Maura L. Gillison and Professor Ying J. Hitchcock, members of the NCCN Head and Neck Cancer Group, and Professor Pierre Blanchard, a member of the MACH-NC Collaboration, who has made outstanding contributions basic and clinical research of head and neck cancer. Prof. Chuin Hsu, Prof. Bo Zhao, Prof. Edwin Hui, Prof. Kwok-wai Lo, Prof. Qian Chaonan, Prof. Zeng Musheng and Prof. Ying Sun all gave speeches at the conference. Over the one and a half day meeting under the focus of head and neck cancer a range of topics were presented, including the prevention and treatment of HPV-related oropharyngeal cancer, chemotherapy choices for head and neck cancer, comprehensive treatment strategies for nasopharyngeal carcinoma, clinical applications of immune checkpoint inhibitors, nasopharyngeal carcinoma pathogenesis and metastasis of molecular mechanisms, as well as the establishment and application of a large NPC database. Delivered entirely in English the meeting was also very popular online. The meeting was broadcast live online. At the end of the conference the live video broadcast comprised of nearly 7000 views. After the meeting, the participating experts praised the International Symposium on Head and Neck Cancer and said they were looking forward to a reunion in the near future.